Another sweet bag in the ever popular Zebra line! 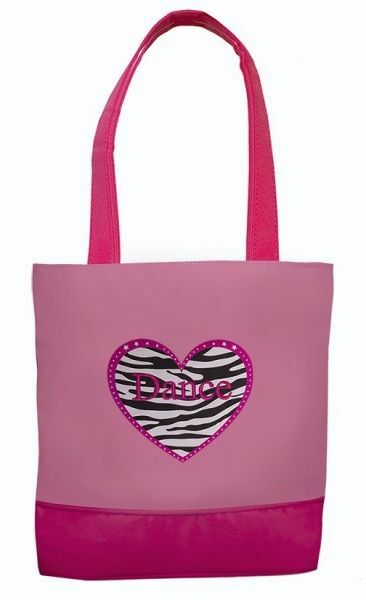 This smart tote features a beautifully screen printed zebra heart with “Dance” embroidered in the center. It comes with an inside pocket and matching Personal I.D. Tag. Microfiber material wipes clean with a damp cloth. Can be personalized.